No matter when or where you hike, you need to be prepared for rain. Not only is getting wet unpleasant and sure to put a damper on your day but being caught out in a storm unprepared can also be quite dangerous. Being wet makes being cold even more miserable and leads to hypothermia. Getting good raingear is a critical part of your safety in the mountains. Good rain gear, as we see it, is lightweight and breathable so you never get too heated when moving, and fits athletically, so you can move and stretch unrestricted. It also should be lightweight and packable, storing away easily when not in use without taking up too much room in your pack. In terms of waterproofing, look for features such as taped seams and a DWR coating. These will ensure no moisture leaks through the seams, and that water rolls off without a second thought. DWR coating can also be re-applied when it wears off after heavy use. Also look for a good hood that fits over your headwear of choice (such as a climbing helmet) and can be cinched tight for a secure fit. You may also want to consider choosing rain pants to pair with your jacket. Good rain pants will have much of the same features as a rain jacket, (Gore-Tex construction, taped seams, DWR coating, athletic fit). Most will likely have zippers on the ankles for venting. Get a great pair, and combined with waterproof boots, a waterproof rain coat and neoprene gloves you can hike through even the worst rain squalls toasty and dry. When it comes to ultralight but watertight rain gear, it doesn’t get much better than the Arc’teryx Beta SL. 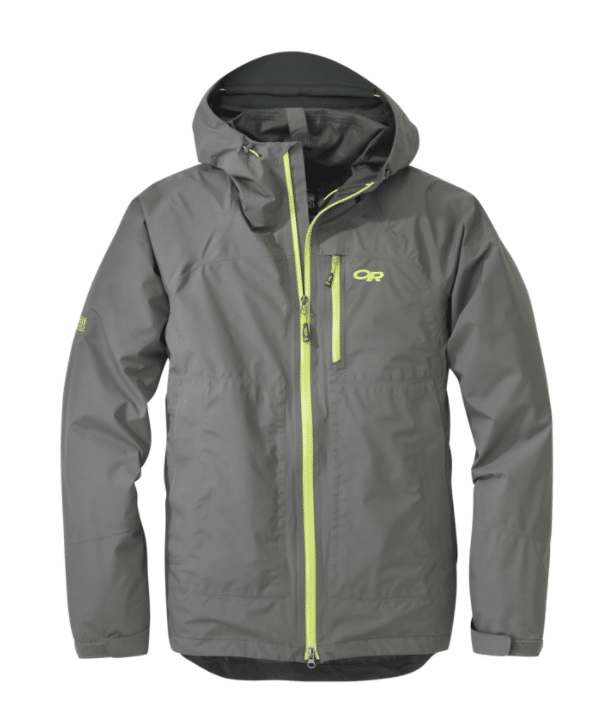 Made of SuperLight, ultra-compressible N40R Pac-lite GORE-TEX, this jacket weighs only 350 grams (12.3 ounces) for the men’s version and 330g (11.6 ounces) for the women’s version. And it packs down to a neat, very small size that takes up very little room in your pack, ready to be pulled out at a moment’s notice. Arc’teryx uses a micro-ripstop pattern, paired with micro GORE-Tex seam tape, to ensure nothing gets through, and manages to stay comfortably breathable. 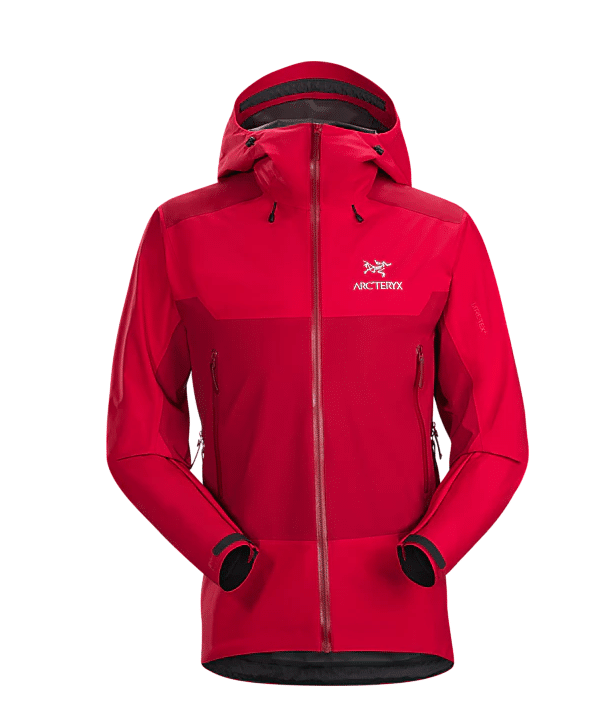 The Beta SL Arc’teryx’s signature Trim Fit means the Beta SL is a versatile, athletic jacket for any activity. It’s perfect for stashing in your pack and whipping out when the weather turns sour. Arc’teryx intends it more for downpours and unexpected storms than long expeditions and cut weight down with that mind. Arc’teryx’s spacious hood accommodates a climbing helmet and cinches down so as not to flop around. It’s our top pick for an ultralight rain shell. 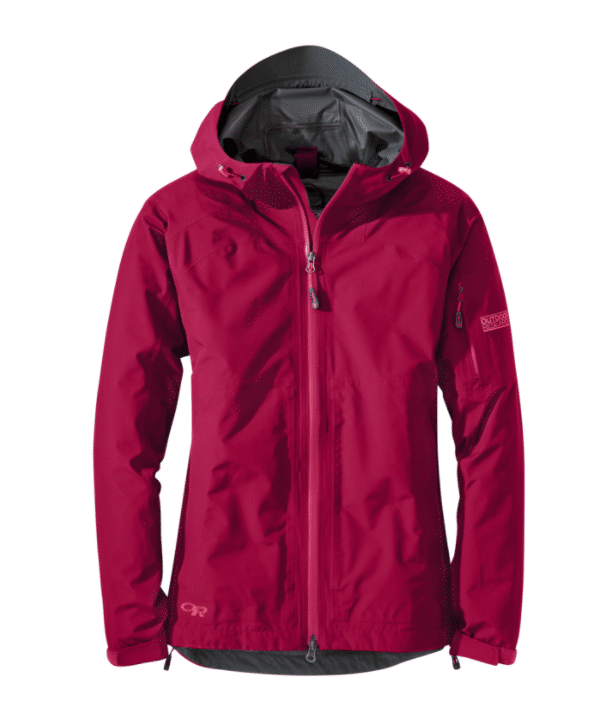 Made with 100% polyester, 50D GORE-Tex Paclite technology, the Foray Jacket (men’s) and Aspire Jacket (women’s) from Outdoor Research is a versatile, lightweight and packable rain shell for hiking and climbing in all kinds of weather. These jackets aren’t as light as some of its counterparts (the Foray weighs in at 16.3 ounces and the Aspire at 13.7 ounces), but still comfortable and breathable, and easy to pack down into your bag. The Foray is fully seam-taped, windproof, and comes with YKK AquGaurd zippers and an internal front storm flap that ditches the usual front flap design. One cool part of the Foray we really appreciate, however, is the amount of ventilation it has. TorsoFlo full-length side zips extend from the pit zips all the way to the bottom hem, for an open, poncho-like fit. Something we haven’t seen on other models. Check out the US Men’s and Canada Men’s versions on Amazon. 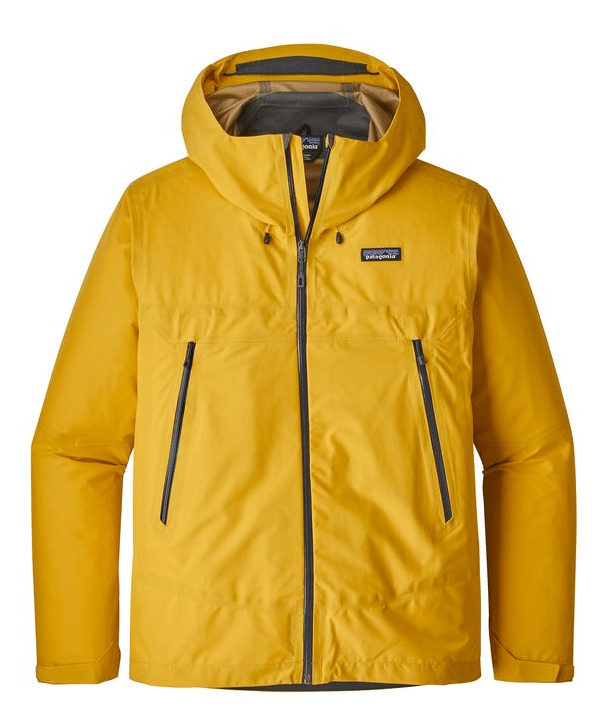 Patagonia always make solid offerings, and the Cloud Ridge, their heaviest-duty rain shell, is no different. With both women’s and men’s versions, this is a great coat. 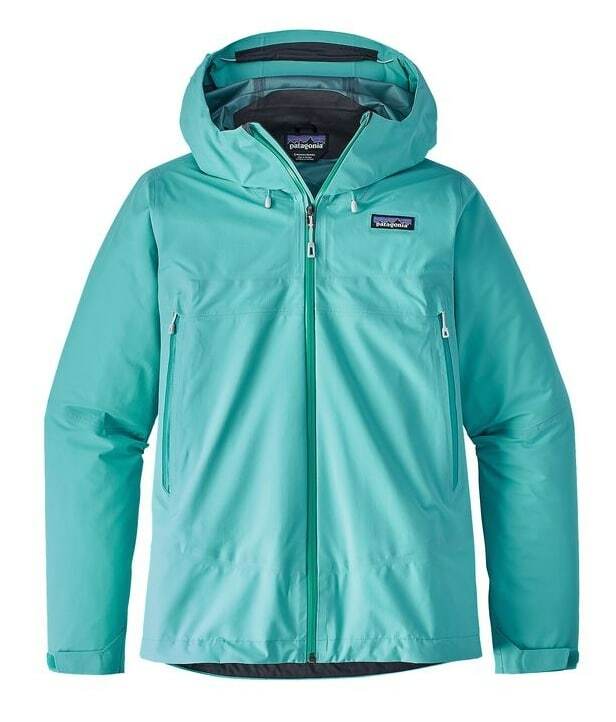 Patagonia built the Cloud Ridge from a 3.4-ounce, H2No® Performance waterproof fabric that is comfortable and breathable, as well as recyclable – which earns it some bonus points. Patagonia designed the front pockets to be accessible when wearing a backpack – even with the waist and sternum straps buckled, and the Cloud Ridge boasts all the watertight seams and zippers you could need, with interior storm flaps. Some unexpected, but welcome features, such as microfleece on the back of the neck (cozy) and a softened chin guard on the collar. The 2-way adjustable hood is compatible with alpine helmets for climbing. 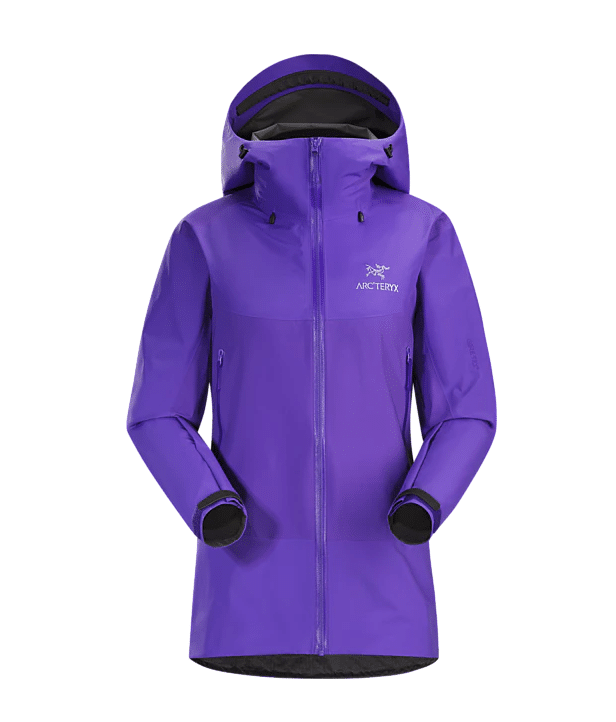 The Cloud Ridge Jacket weighs 13 ounces, putting it right between the Arc’teryx and the Outdoor Research in weight. 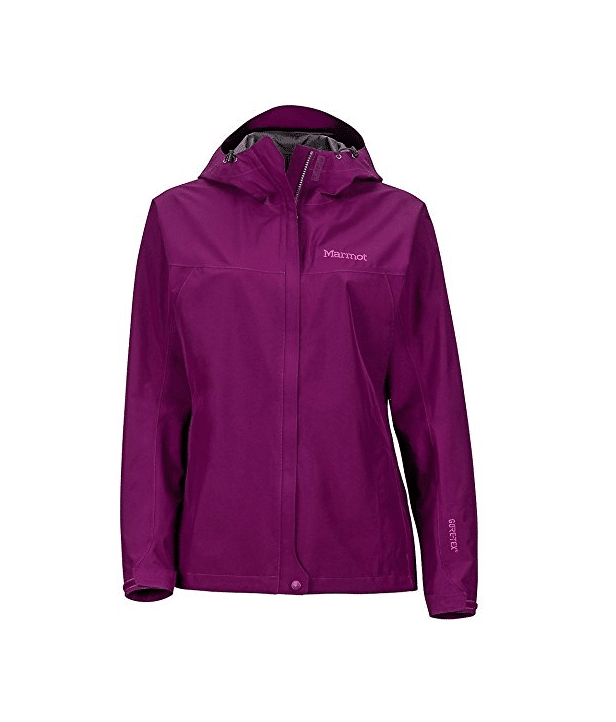 It’s everything you could want in a lightweight rain shell; athletic, comfortable and watertight. 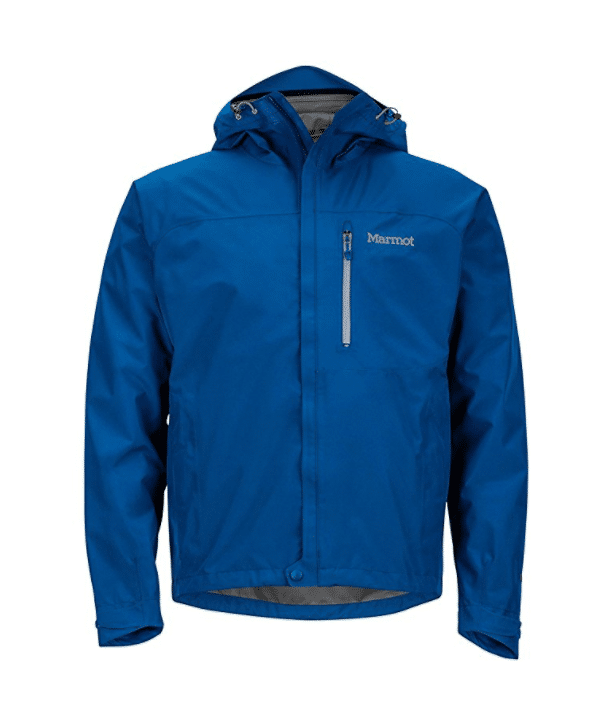 The Marmot Minimalist is another lightweight, athletic jacket made for cutting down on weight and packing away easily – hence the name. Constructed from Gore-Tex PacLite 2.5-layer waterproof breathable laminate, it’s got all the usual rain shell features – sealed seams, micro-ripstop for flexibility and breathability, laminated storm flaps and a chin guard.  It’s otherwise as minimal and slimmed down as possible, with a trim fit and what Marmot calls Angel-Wing Movement, which allows for a full, unencumbered range of motion during active pursuits. It’s a well-built, slim and athletic hard-shell that will keep the water out without weighing you down, whether hiking, running or climbing. There’s no shortage of excellent rain gear out there. Good gear can easily last you 10 years, and typically longer than cheaper gear. Considering the safety and comfort benefits of good rain gear this is an investment every outdoors lover should make.